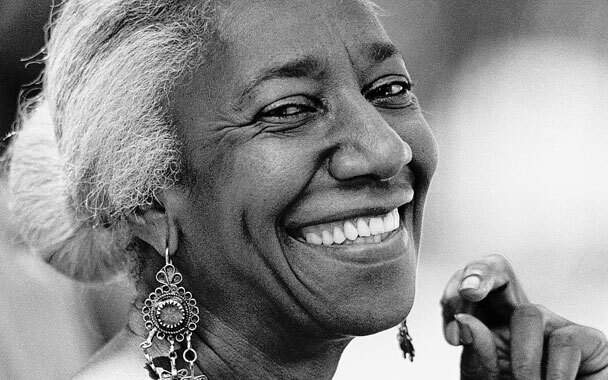 An unpublished essay by the late Edna Lewis—one of America's most resonant and evocative food writers—that she had sent to a colleague years ago was recently discovered. And Gourmet magazine shares it with us this month. Benn Johnson, of the Southernness gift company, has put together a list of 2,008 positively Southern people, places, and things to kick off 2008. Mississippi listings include a cobalt blue Viking Range, bread pudding at Two Sisters (mine's better...I swear) and a candlelight tour of the Vicksburg Mansion - and Faulkner, Elvis, Eudora, Oprah, Willie Morris, Sela Ward, Walter Anderson, Sweet Potato Queens and Marty Stuart. And you can add your own to the list too. Mississippi Insurance Commissioner George Dale and other Southern commissioners will host a hearing on coastal insurance matters Sept. 24 in Mobile. The hearing will be from 9 a.m. to 1 p.m. at the Battle House Hotel. Commissioners from Alabama, Louisiana, South Carolina and Florida will also attend. Five years after the discovery of two wooden trunks containing letters and other writings by Gen. Robert E. Lee, the Virginia Historical Society is making most of the materials available to researchers. The trunks also contained legal papers, travel souvenirs, financial records and small artifacts that were collected by Lee's eldest daughter, Mary Custis Lee. They were found at Burke & Herbert Bank & Trust Co. in Alexandria in 2002. The writings cover the Civil War, his time on the Texas frontier before the war and his presidency of Washington College (now Washington & Lee) in Lexington, Va., after the war. The collection's oldest item dates to 1694. "The soup of the day is going to be beef noodle. The vegetable of the day is steamed cauliflower," says the sweet Southern voice. 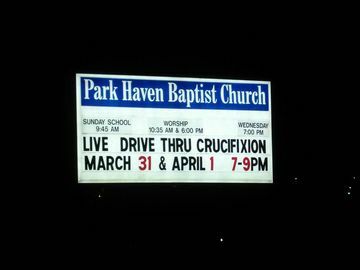 There's nothing too unusual about that. What is unusual is what comes next, her singing a song in her charming off-tune way with made-up lyrics, and the fact that up to 50,000 people a month from all over the country call a phone number just to hear her talk about the lunch menu at a place they will never eat. Oh, and to wish them a beautiful day. 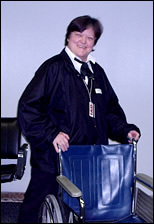 After an article about Sharon Al-Doost (also known as the Lunch Lady) appeared on the front page of the Washington Post in 1998, the calls increased to 50,000 a month. Sharon went on to be covered in NY Times Magazine , People Magazine, Entertainment Weekly and she also appeared on the Rosie O'Donnell Show. There is even a Lunch Lady fan club in San Francisco. One year thousands of visitors to New York City heard her recording of "The Night Before Christmas" at the Christmas display in the window of Bloomingdale's. The creative director was a big fan. Sharon no longer records the menu for the U.S. Geological Survey, but still records the menu each morning for one of her fans who owns a hospital in California. You can read more about The Lunch Lady at www.lunchlady.com or call and hear it for yourself by phoning 510-351-7654. Only a Southerner knows how many fish, collard greens, turnip greens, peas, beans, etc.,make up "a mess." Only a Southerner knows instinctively that the best gesture of solace for a neighbor who's got trouble is a plate of hot fried chicken and a big bowl of cold potato salad. If the neighbor's trouble is a real crisis, they also know to add a large banana pudding! Every Southerner knows tomatoes with eggs, bacon, grits and coffee are perfectly wonderful; that red eye gravy is also a breakfast food; and that fried green tomatoes are not a breakfast food. And a true Southerner knows you don't scream obscenities at little old ladies who drive 30 MPH on the freeway. You just say ,"Bless her heart"...and go your own way. And for those who are not from the South but have lived there for a long time, all y'all need a sign to hang on y'alls front porch that reads "I ain't from the South, but I got here as fast as I could." Bless your hearts ... y'all have a blessed day. Graceland was bought by Elvis in 1957 for $103,000 with earnings from his first hit record, Heartbreak Hotel. Graceland officials are pursuing plans to expand tourism and have just opened two new exhibits in Memphis: Elvis After Dark, which explores Elvis' night owl habits, and Elvis 56, which focuses on the explosion of his career in 1956. The site of the new Westin Beale Street Hotel is in the historic district, so developers were required to conduct an archaeological survey. The dig, which ended Dec. 22, turned up remains of Beale Street bordellos: wine and liquor bottles and pieces of porcelain dolls believed to be owned by the children of prostitutes. "Boarding houses," as they were called then, were in their prime in the early 1900s. When Prohibition hit Memphis is 1915, several thousand prostitutes left and went to St. Louis, according to archaeologist Drew Buchner. Buchner also said doll fragments are common in areas once populated by bordellos. Diggers also found several buried sections of brick sidewalks. Panamerican Consultants Inc. expects to complete a report on the survey in about four months. Visitors to the new Georgia Aquarium in Atlanta will see the only whale sharks on display outside of Asia - and at least 99,998 more fish afterwards. The aquarium, funded almost exclusively by a $200 million gift from Home Depot co-founder Bennie Marcus, opens on Nov. 23 and will officially become the world's largest aquarium when it does (easily dwarfing what had been the nation's largest indoor aquarium for decades...the 20,000-fish Shedd Aquarium in Chicago). The aquarium is shaped like an abstract cruise ship and is expected to attract as many as two million visitors in its first year alone. Located in Atlanta's Centennial Olympic Park (across the street from CNN Center and the Georgia Dome), it is expected to be the anchor for downtown tourism revival. In 2007, a new World of Coca-Cola Museum will join it next door. On Nov. 21, the Today show will report live from the Aquarium. Tune in if you want to see it without making the trip to Atlanta.